This entry was posted in Beading Supplies, Kumihimo and tagged anita's beads, kumihimo supplies on February 19, 2017 by AnitaNH. Size 6/0 Preciosa Czech Seed Beads come in 6-strand hanks. Each strand is 20 inches long. This is the Transparent color index (click photo to enlarge). 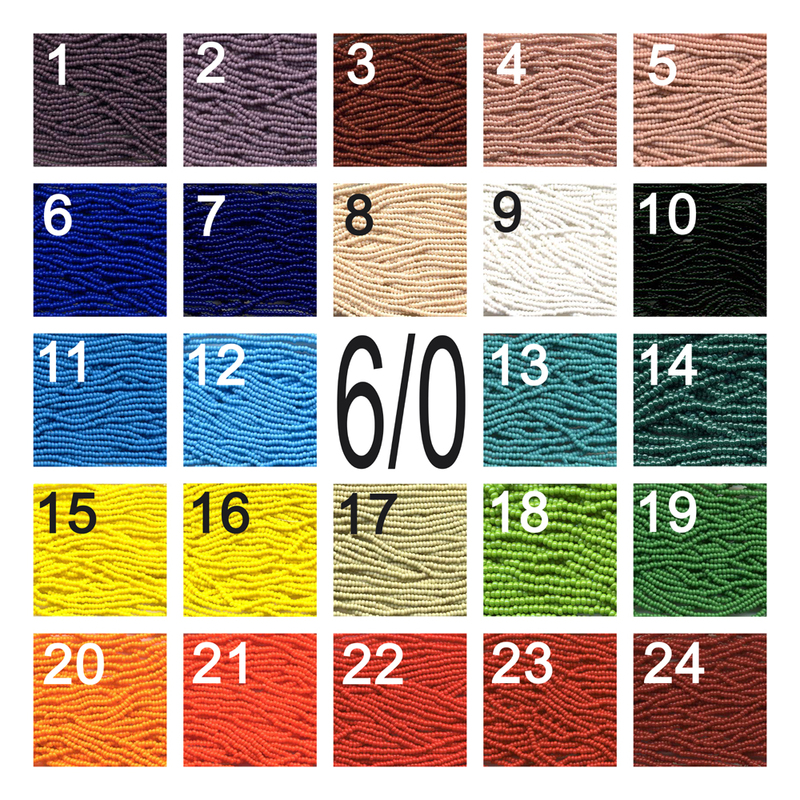 View the 6/0 Seed Bead page for a complete list of size 6/0 seed beads available at Anita’s Beads. This entry was posted in 6/0 Czech Seed Beads - Transparent, Beads and tagged anita's beads, kumihimo supplies, seed beads on March 3, 2015 by AnitaNH. Size 6/0 Preciosa Czech Seed Beads come in 6-strand hanks. Each strand is 20 inches long. This is the Opaque color index (click photo to enlarge). 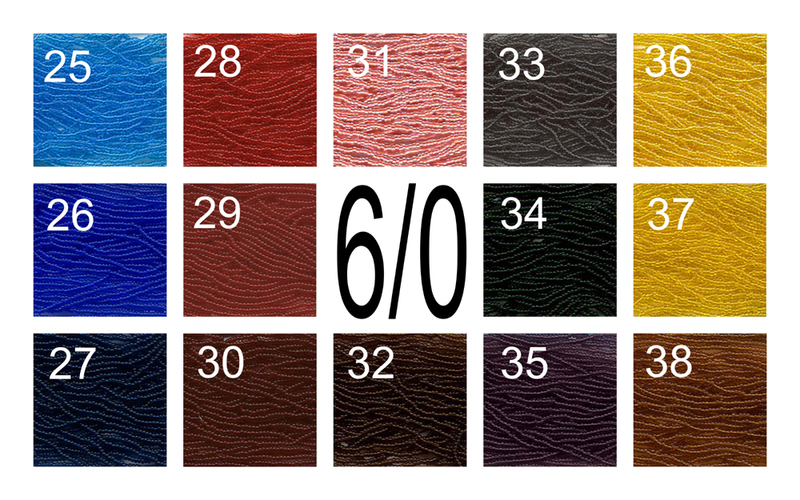 View the 6/0 Seed Bead page for a complete list of size 6/0 seed beads available at Anita’s Beads. This entry was posted in 6/0 Czech Seed Beads - Opaque, Beads and tagged anita's beads, kumihimo supplies, seed beads on March 3, 2015 by AnitaNH.